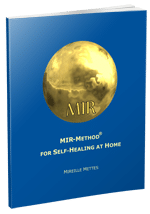 Did you suffer from an arthrosis and has it gone now, thanks to the MIR-Method? Please let me know! By sharing, you can inspire other people who are still suffering like you did to give the MIR-Method a try. I’ve had problems with arthritis for several years. Especially in my left foot, my ankle is pretty stiff. I had to stop running. At first, I was treated by a classic homeopath. Through him I’ve got fewer problems and can move more easily. Now I’m working with my diet and, at the same time, doing the MIR-Method. The first weeks I had various withdrawal symptoms, headaches and pimples. Now I feel fitter and have more energy. I can move my foot much better already. The diet and the MIR-Method are no problem for me. I’m happy with it and will continue. I’ve been doing the MIR-Method for a good 3 weeks now. I’ve had almost no migraine headaches and during the day, my hip and knee are not as stiff. But at night, I still often have a lot of pain and almost every night, I have unpleasant and invasive dreams, which is not nice. I might just be imagining it but I seem to have more energy, which is satisfying. Can these dreams have something to do with getting rid of emotional baggage? I am so glad that I started doing it. Thank you, Mireille. Yes, intense dreams develop when working through old emotions and are, therefore, actually a very good sign. Am very happy that the migraine attacks are almost gone! Your body is clearly on the right path and just needs more time. I’ve only been working with the MIR-Method for 4 days. I suffer from arthritis and have inflammation in my hip and knee, but also my gall and liver. Am being treated for this by a therapist. Since yesterday, I’ve got an itchy rash on my right shoulder and upper right arm. Can this be from putting the MIR-Method into practice? I really hope that it will help me, am determined to continue on with it. Yes, that is certainly possible. It can be because of the release of your gallbladder meridian or large intestine meridian. Look sometime on the Internet to see the route of these meridians. In May, I started having intestinal problems and shortly after that, stomach problems as well. A psychic therapist, whom I’ve already known for a long time, indicated that there were old things being stirred up that were ready to be dealt with. At a certain moment, I realized that I could move my head much more easily in bed and that the constant pain and pressure in my neck and on the back of my head were gone! I am now very consciously enjoying this every day. I hope now to get rid of the entire old emotional burden once and for all. Mireille, thank you very much. I’m experiencing it as a gift from God. Have just finished my exercise via the MIR-Method. The first thing I noticed was that I have less pain in my joints and can get through the day better. My sleep has also clearly improved. Feel more peaceful and it has certainly helped me. Am finished with the MIR-Method; as I said earlier, I feel fine but what I’ve now noticed is that the arthritis in my feet is better, hope it stays that way for a long time. After a month with the MIR-Method, my joint problems are doing very well, less stiff, more mobile, it’s really nice and I sleep better and am therefore fitter and therefore have more energy.